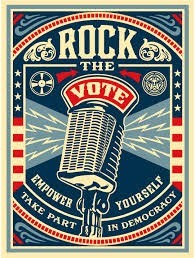 THE WIZARD OF ROCK and ROLL: Contact say "The Wizard sent me or Just Go ROCK the VOTE ! Contact say "The Wizard sent me or Just Go ROCK the VOTE ! Please Share this or yell at me or do something ! Ok , dont's click off ,just yet.....I hope people will VOTE , this Election ! with common sense on Laws to Protect us against the wrong person's hands , having them wind - up - in ! , But ,please send this forward , only if you just are 50-50 for or against , some or all this Medicated Vet is babling-on about ! Don't just remember our Vets , while they are in WAR but most especially , when they are back from WAR and in their elderly years , as I hear I am now! The Wizard just sent this to DNC for an ad campaign and asking all of you who agree with me to give the Democrats the vote in 2014 , if they don't come thru , then vote a different way , if you weren't satisfied ! Plus , share my POST with all your friends ,Please....they need to Change this CONGRESS ! Chapter 1 >>>> Will our Planet Survive Changes Yes or No ? Page 1 >>>> Before you answer YES or NO , ponder these thoughts ??? B ) Have you noticed any more rain causing more flooding or less rain, possibly causing a drought ; where you or anyone out there in the world , related or not Categories , happens to Live??? For Dummies & Some Republicans , that is every person Born on Planet Earth of the Human Species. Yes , includes all of you Dummies and All Republicans !!! Yes , you can be both a Republican and a Dummy and if you Voted Republican , you probably are ! Is that Right ? Hopefully , will send it on Google, FB & Twitter asking to share ! To tell young people on-line to get off their Butts , and get rid of the Corporate Loving Republicans NOW ! 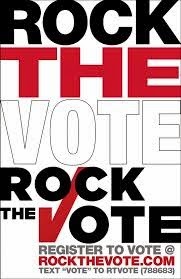 ASKING You to just to forward and share , with the idea , telling your friends to vote , that's the important thing !